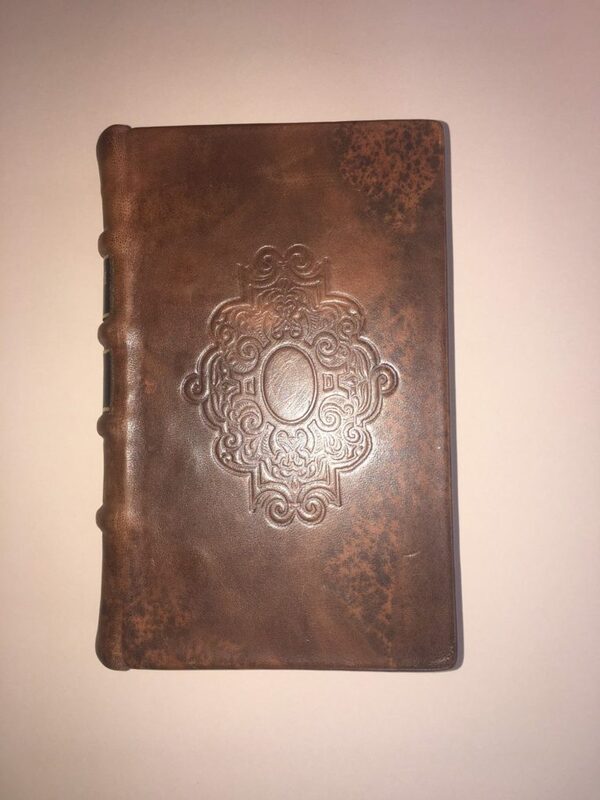 This little 17th century book, signed by Robert Uvedale, a prominent botanist of the time, was in need of complete restoration. The leather was too degraded to save. 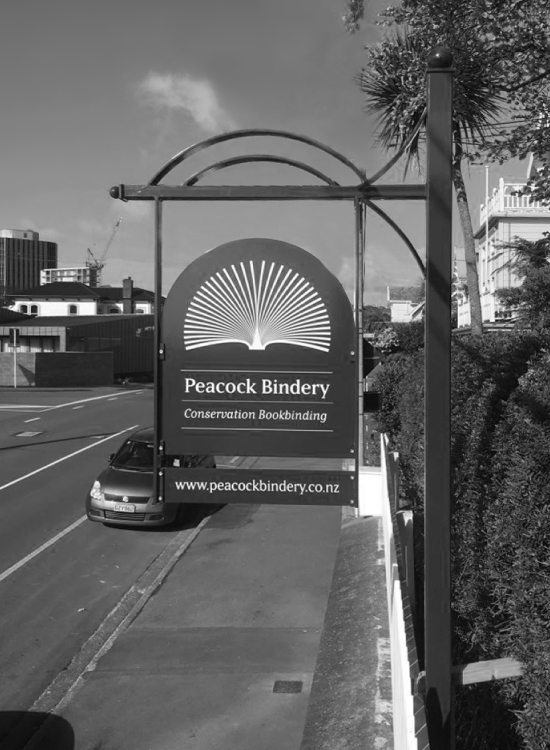 The book was disbound, paper repairs made and rebound on four raised cords using smooth marbled goat leather over new boards. I blind-tooled the front and back boards and attached title and author labels. 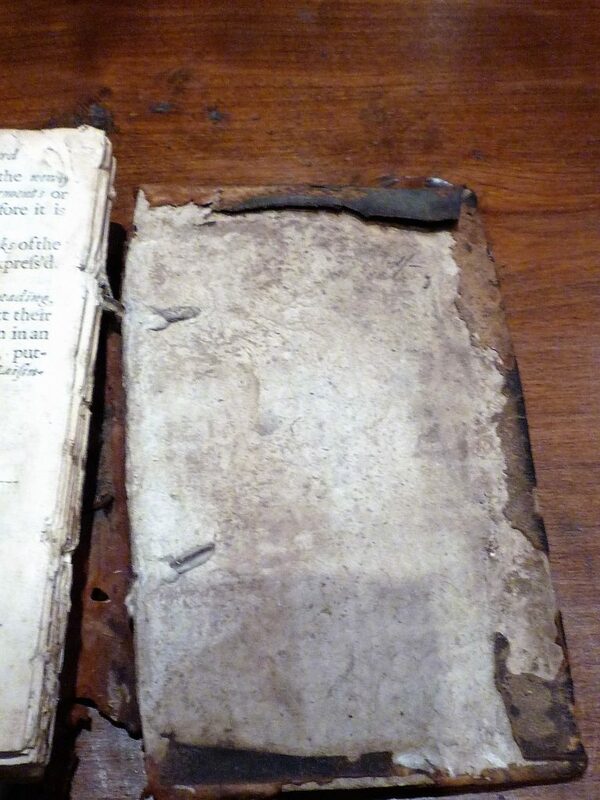 The French Gardiner: after rebinding. 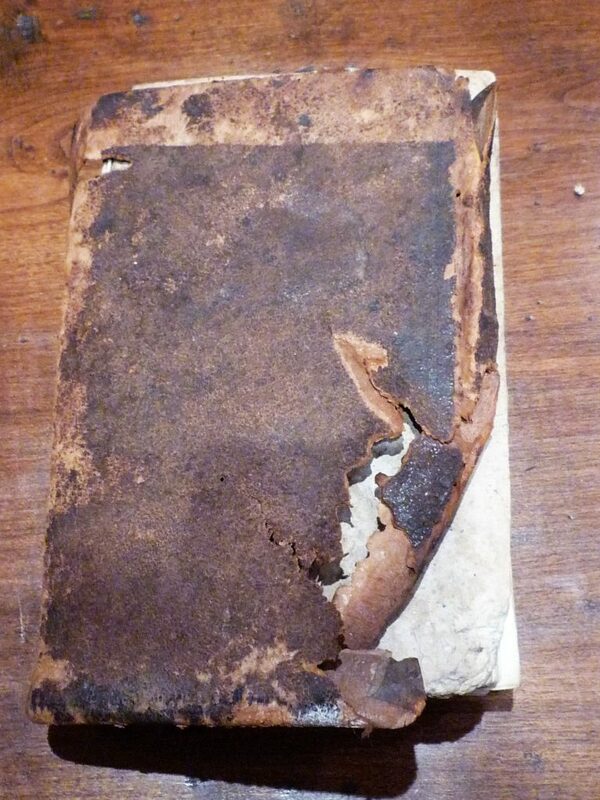 The French Gardiner: original board showing degraded leather. The French Gardiner: back board, literally hanging on by a thread. The French Gardiner: title page. 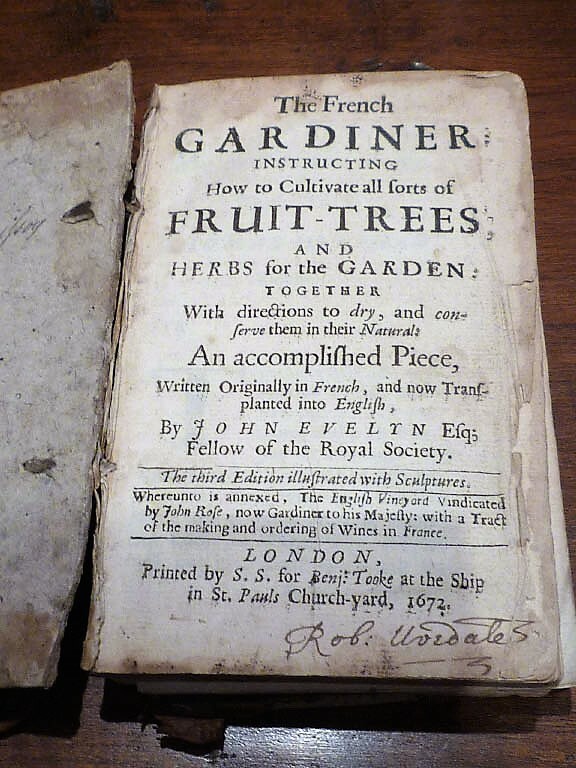 Note the signature of Robert Uvedale, a prominent 17th century botanist. 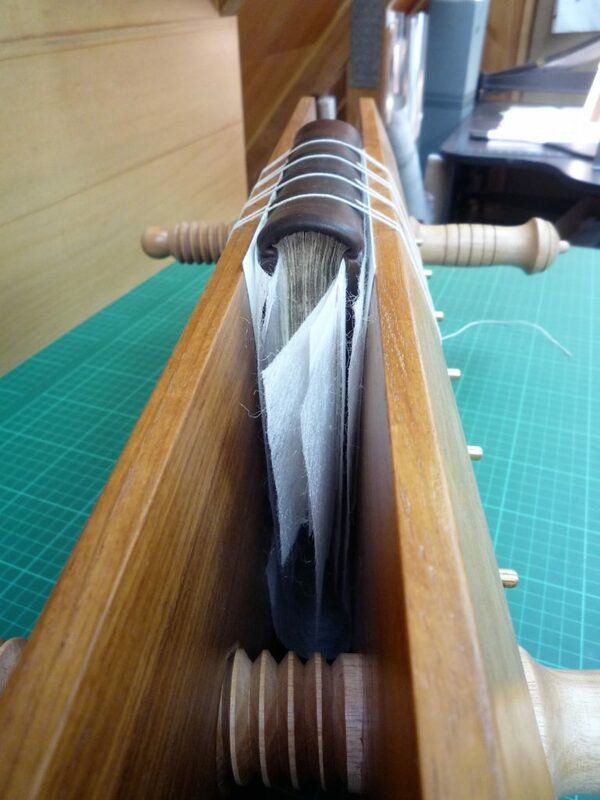 The French Gardiner: the book has been covered in new leather and is drying in a tying-up press to define the raised cords. The French Gardiner: blind tooling on front board.